The Kew Bridge Steam Museum are open throughout the year but their large collection of steam engines can only be operated on certain days. So to make sure you plan your visit when these engines are running please check with this what's On page. The museum also holds special events throughout the year. 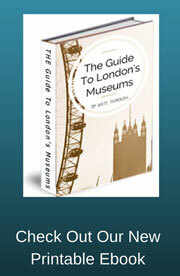 Please sign up to our RSS feed of Free Monthly Newsletter to find out what's going on and where in London Museums. 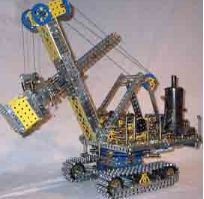 Come and discover the Magic of Meccano! See the best of UK Meccano modelling in action, meet the talented model makers and have fun building your own Meccano creation. Members from Meccano clubs and societies throughout the world are visiting the Steam museum to host their show and dispaly their Meccano models. Visitors will see over 80 working Stirling and hot air engines plus have the chance to meet the experts to discover more about these fascinating machines. Dress up in Victorian clothes to travel back in time and discover what life was like for the workers who kept the Kew Bridge Pumping Station in steam. Get to grips with the tools that were used here to get London’s water pumping with a brand new family trail as well as a chance to handle rarely seen objects from the archive. With the engines and the Waterworks Railway in steam, as well as a chance to sample great beer from this famous local brewery. We will be firing up our historic Lancashire Boiler to steam all our mighty Cornish and Rotative engines for August Bank Holiday. Peppa Pig visits the Museum! Come along and meet Peppa in person and hear stories of her adventures. Help us discover the spooky secrets of the historic engine houses and maybe meet a few of their past occupants! Plenty of Halloween craft activities, a ride on the Ghost Train and a trip through the creepy wood! Our onsite artists will be opening up their studios for this special pre- Christmas shopping event. Don’t miss out on a chance to enjoy the work of local artists and browse a unique collection of Christmas presents. Carol singers will be filling the Steam Hall with festive music while families enjoy special seasonal activities. Warm up with a glass mulled wine whilst watching the Rotative engines slowly turn or ride behind Thomas Wicksteed our Waterworks steam locomotive. December 31 - January 3. The season’s highlight is the Grand New Year Steam Up, a chance to see all the Museum’s majestic engines powering into 2016.